One of the most sought-after neighbourhoods in Dubai, Al Reem spans an impressive 208 acres with lakefront views. An integral part of Arabian Ranches, this desert-themed masterplanned development is an exceptional residential choice for the discerning customers who value the finer things in life. 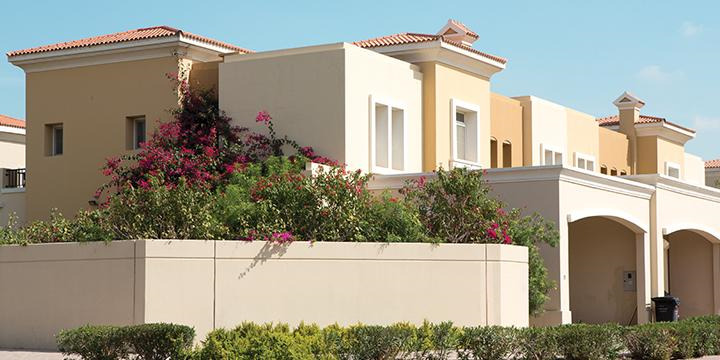 Al Reems villas draw inspiration from traditional Arab and Spanish architecture and include a variety of detached, two-storey, single-family residences ranging in size from 1,690 to 3,060 sq ft, with three, four and five bedrooms. Arab Vision Real Estate is a Customer centric company, serving the Dubai Real Estate sector since 2005. Arab Vision aims at offering its customers a new level of quality of services. We focus on the logic of the product, whether you look to Buy or Sell Residential or Commercial, Apartment or Villa, Land, Plot…whatever your requirement is, you can trust the Experts.